University of Cambridge alums put fun into computer programming to interest children while they play; Purdue University researchers are using a concept called deep learning to enable smartphones to become smarter. Two University of Cambridge alumnus have developed a small robot to help children learn programming and robotics while they play. 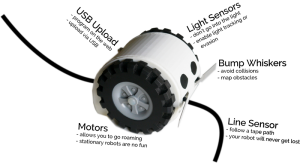 Under the guise of Robotiky, and within two months of their initial idea, they secured seed funding for a prototype robot, wrote the software and ran trials with hundreds of schoolchildren. They put demonstration software on their website, and have had feedback from the UK, the United States and New Zealand – some teachers even used it with pupils before the demo was finished and without a robot. The grads want to distribute robots worldwide by September. The pair said they like to move quickly because they know the world isn’t going to wait around. They believe the kids of the future should be creating, innovating and shaping the world in this new digital age…but the first steps into programming can be confusing and daunting, particularly for young children, which is why they made a programmable toy robot. Further, they said believe learning shouldn’t be a chore and it doesn’t have to be. They anticipate Robotiky will become part of children’s play time, something they want to do, not that they have to do. 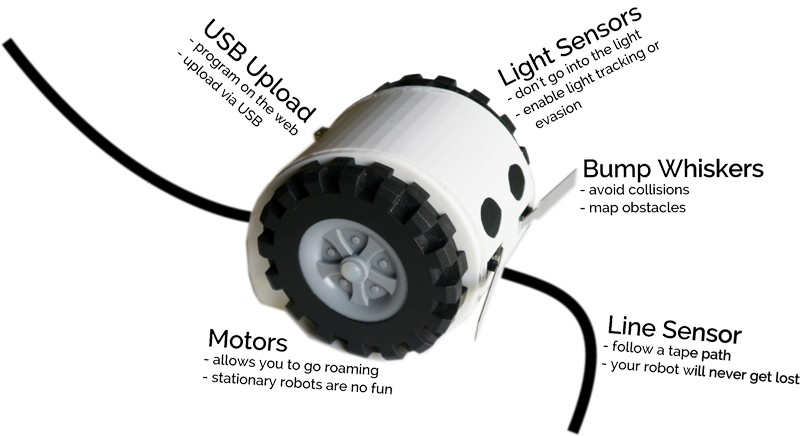 Robotiky is designed to inspire the next generation of programmers, engineers and web designers. Using a concept called ‘deep learning,’ Purdue University researchers are working to enable smartphones and other mobile devices to understand and immediately identify objects in a camera’s field of view, overlaying lines of text that describe items in the environment by analyzing a scene and putting tags on everything. They expect the innovation could find applications in “augmented reality” technologies like Google Glass, facial recognition systems and robotic cars that drive themselves. The concept is called deep learning as it requires layers of neural networks that mimic how the human brain processes information. Internet companies are using deep-learning software, which allows users to search the Web for pictures and video that have been tagged with keywords. Such tagging, however, is not possible for portable devices and home computers. The deep-learning algorithms that can tag video and images require a lot of computation, so it hasn’t been possible to do this in mobile devices but the researchers have developed software and hardware and shown how it could be used to enable a conventional smartphone processor to run deep-learning software. The new deep-learning capability represents a potential artificial-intelligence upgrade for smartphones. Research findings have shown the approach is about 15 times more efficient than conventional graphic processors, and an additional 10-fold improvement is possible. Now there is an approach for potentially embedding this capability onto mobile devices, which could enable these devices to analyze videos or pictures the way it is done over the Internet. Essentially, the deep learning software works by performing processing in layers and could enable the viewer to understand technical details in pictures.